The … View moreThere will be no rubbish or recycling collections on Good Friday. If your collection day is usually Friday, it will be done on Thursday instead. Please remember to have your rubbish and recycling out on the kerbside by 7.30am as usual. The Broadlands Road landfill and resource recovery centre and transfer stations around the district will be closed on Good Friday but open normal hours all other days. The award recognises programmes, projects or … View moreTaupō District Council’s Otumuheke Stream revitalisation project last night received the Minister of Local Government's Award for Innovation in Council Community Relations at the Society of Local Government Managers (SOLGM) annual awards. Our Garden of Earthly Delightscelebrates small parts of our amazing country, Aotearoa, New Zealand and the connection we … View moreFreelance artist and graphic designer Lianne Adams brings her unique, bespoke pieces to Taupō Museum, melding together strands of computer-based design and traditional art. Our Garden of Earthly Delightscelebrates small parts of our amazing country, Aotearoa, New Zealand and the connection we have with it. The more often we see things around us, even the beautiful and stunning things, the more they become invisible to us. Consequently, we often take for granted the beauty of this world, the ocean, the trees, the birds, and the clouds - even those we love. Because we see things so often, we see them less and less. *Please note a change of location - we're now meeting in the carpark outside the Hole in One Challenge on Lake Terrace at 9am on Saturday, April 13. Join our team as we celebrate the 49th International Earth Day with a lakefront clean-up! We’ll be focusing on collecting all the little … View more*Please note a change of location - we're now meeting in the carpark outside the Hole in One Challenge on Lake Terrace at 9am on Saturday, April 13. We’ll be focusing on collecting all the little bits of rubbish that can be so damaging to our lake’s ecosystem – things like cigarette butts, small plastic wrappers and other micro plastics. These little things may not look bad but they can do more harm than larger pieces of rubbish. All supplies are provided – just bring along some water and wear closed toe shoes. The exhibition, Colour My Autumn, has been a labour of love for Takarangi, who regards autumn as the most beautiful time of year. She was born and … View moreTaupō artist Connie Takarangi is launching an exhibition full of colour and recycled objects, textiles, paper and more at Taupō Museum next weekend. The exhibition, Colour My Autumn, has been a labour of love for Takarangi, who regards autumn as the most beautiful time of year. She was born and bred in Turangi before moving to Wellington and then London, before returning home. She said the beautiful colours of Turangi in autumn influenced her love of the season. “For as long as I can remember I have had a fascination of autumn and its changing elements,” she said. She said Colour My Autumn brought together elements that embraced her passion for reusing, recycling, repurposing and rethinking. Colour My Autumn runs from April 6 to May 13 at Taupō Museum. Taupō District residents and children can visit free of charge. 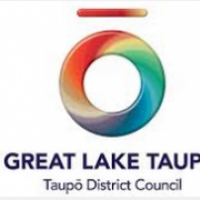 Takarangi is also holding school holiday workshops during the upcoming school holidays with funding from Creative Taupō and the Creative Communities Scheme. See the Taupō Library and Museum school holiday programme for more information.